Cataract is an age related eye disorder in which clouding of the lens causes reduction of the vision. There is sensitiveness of the eyes and occurs due to degenerative changes that may occur in the cells and tissues of the eyes with progressing age. It becomes difficult for people to carry on the daily activities when they have cataract in their eyes. It develops slowly and suddenly eyesight becomes cloddy and misty during the day time. The vision becomes blurry because lens becomes opaque. Sometimes it is not detected at an early stage and it may lead to permanent loss of vision. 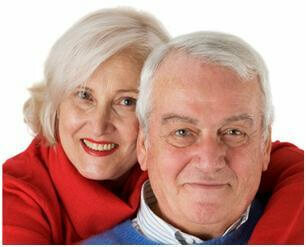 Cataract may start at any age but generally it is seen in older people. Cataract decreases the distant vision and it becomes difficult to perform daily activities such as reading the newspaper, driving a car, etc. Cataract may occur in men and women. Sometimes it may occur as a result of some other systemic disease. Cataract may occur in children at the time of birth which is called as congenital cataract. It is not easy to detect congenital cataract and may be diagnosed at a later stage. In conventional system, surgery is recommended for cataract. There is change of lens which helps a person to look clearly. There may be some complications that may occur with cataract surgery. Therefore, most people are not interested for cataract surgery and they look for some alternative treatment of cataract. Cataract natural remedies help by providing essential nutrients to the eyes and prevent the formation of cloudy appearance of the lens. There is decreased vision due to clouding of the lens. It is difficult to read or see in the dim light. Black spots appear before the eyes. Some people see halos of light before the eyes during dim light. It is not possible to see clearly even in bright light. Divya Amalaki Rasayana: This herbal remedy helps in the treatment of cataract by supplying essential nutrients to the tissues of the eyes. It prevents degeneration changes that may occur with advancing age. It helps to keep healthy eyes without producing any adverse effects. 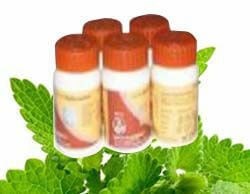 Divya Saptamrit Lauh: This is an excellent remedy for people suffering from cataract. It is a nutrient rich herbal remedy that helps to prevent the development of cataract by supplying proper nutrition to the eyes. It helps to improve vision by increasing the supply of blood to the eyes. Divya Mukta Shukti Bhasm: It helps in reducing all the signs and symptoms associated with cataract. It enables a person to read clearly and also helps to see distant objects without any difficulty. This is an essential tonic for eyes and provides nourishment to the eye tissues for proper functioning. Divya Maha Triphala Ghrit: This is a traditional herbal remedy for eye disorders. It not only helps in the treatment of cataract but also helps in the treatment of other eye disorders. It supports the normal functioning of eyes by supplying proper nutrition and blood supply to the eyes. Prepare a mixture by adding one teaspoon of rose water and fresh lemon juice. Use this mixture and put one drop everyday in both eyes to get better vision. It helps to prevent the further progression of the cataract. Almonds are also good for vision. You may soak some almonds overnight and peel them in the morning. Eat them with a glass of warm milk everyday to maintain healthy eyes. Vitamin A is considered to be the best alternative for maintaining healthy vision. Foods such as carrots, apple, and spinach are rich in vitamin A and may be included in the diet to improve vision. Even children should be given diet rich in vitamin A which will help to improve their vision naturally. Prepare a mixture by adding one teaspoon of onion juice, lemon juice and ginger juice. Add one teaspoon of honey to this mixture and also add some water so that it may become less thick. Put one or two drops of this mixture daily to improve vision quickly. Garlic is very effective for the treatment of any kind of inflammation. One should eat garlic daily to boost up the immunity and to prevent and inflammatory conditions of the eye. Carrot is a very good home remedy for maintaining proper vision. Eat one carrot everyday because it is rich in carotene which is a precursor for the formation of vitamin A. One should visit an eye specialist regularly for early detection of any abnormality. Stress should be avoided as it may cause weakness of the eye muscles and can lead to cataract. Sleep of eight hours is necessary for good health of eyes. One should take proper sleep to relax. Bad habits such as drinking alcohol and taking too much caffeine should be avoided to live a healthy life.